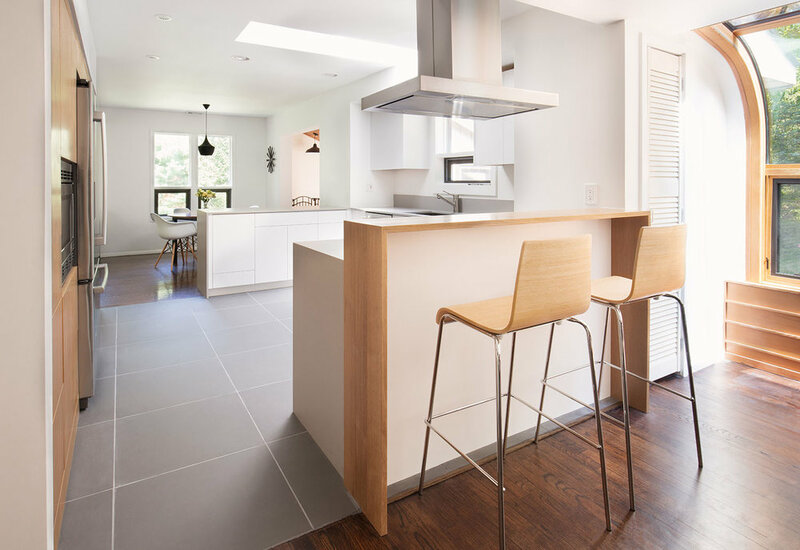 We worked with Chris Berg from Berg + Moss Architects to create this simple modern kitchen for a lovely family. 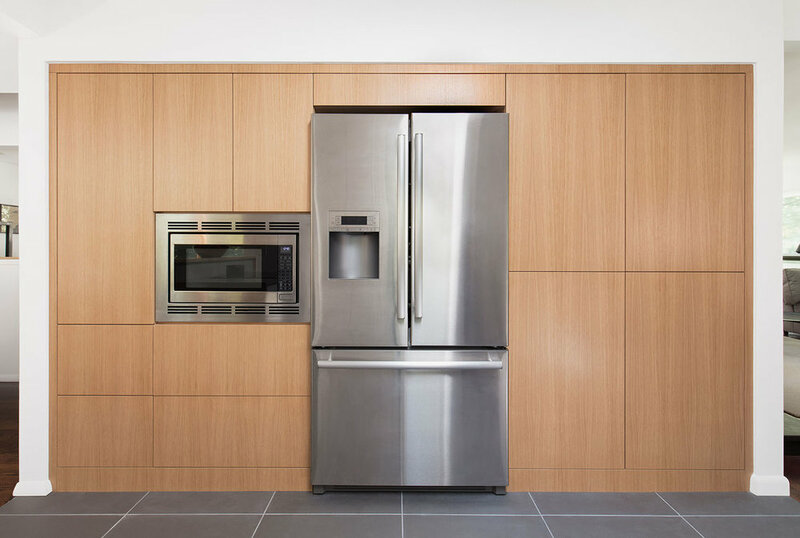 The painted white cabinetry has push to open hardware, as well a wall of built in white oak cabinetry, which also brings warmth to the space. There are hidden bowls for the family dog, and also “bubble storage” for the little girls to store their bubbles (very important)! We love to work with families to create a true heart of the home kitchen.